St John's Church in Marchington Woodlands is a beautiful country church and is an ideal church, excellently maintained. 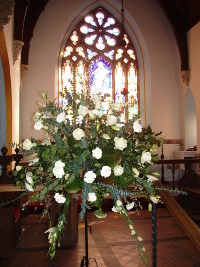 If you are planning a wedding, the church has beautiful views from all directions of the church. There are many places for venues after your wedding. Marchington Woodlands Village Hall is just down the road from the church. Please view www.yourchurchwedding.org or a church near you for helpful information.